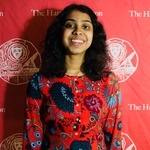 Staff writer Sanjana L. Narayanan can be reached at sanjana.narayanan@thecrimson.com. The Dean of Students Office will not be moving forward with the Experiential Learning Center, the center’s director Paul R. “Coz” Teplitz ’03-’09 announced in an email to leaders of the First-Year Outdoor Program Thursday. 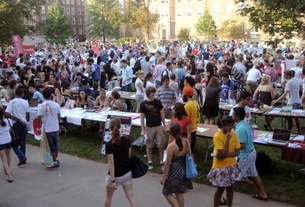 College students will not be allowed to bring guests to this year’s Yardfest — a spring music festival held annually in Harvard Yard — according to an email sent to undergraduates Monday by the Dean of Students Office. Upperclassmen waving banners and sporting House apparel — from face paint to full-body penguin costumes — congregated in Harvard Yard Thursday morning to welcome freshmen to their new residences. The Adams House renovations timeline, previously slated to begin in June 2019 and take three years, will now extend another year and conclude by August 2023, Faculty of Arts and Sciences administrators announced at a Tuesday town hall. 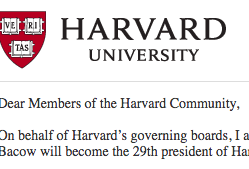 Michael Liu ’19, Olga Romanova ’19, and T. Mattea Mrkusic ’17 have been named Harvard’s three newest international Rhodes scholars. Physics and Astronomy Professor Christopher W. Stubbs has been appointed dean of science for the Faculty of Arts and Sciences.